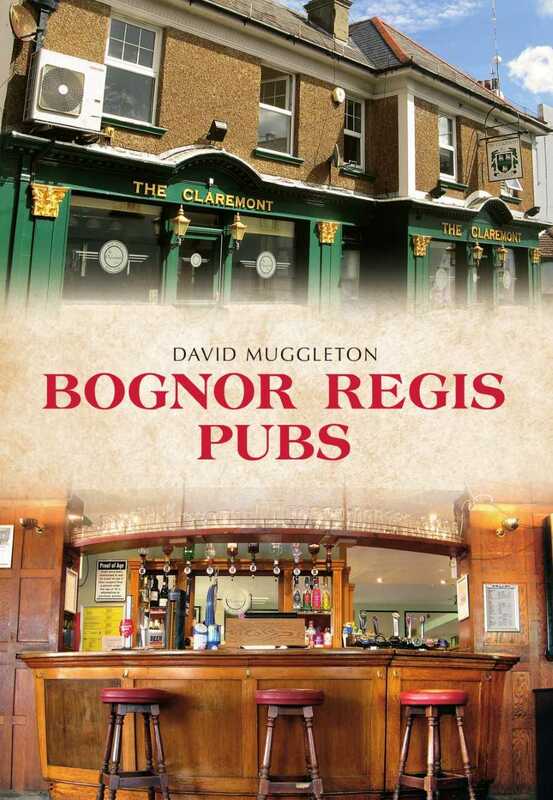 Bognor Regis Pubs Book Now Out! At 20,000 words with 100 illustrations across 96 pages, this local history book details all the known past and present pubs in Bognor Regis and the surrounding areas of Pagham, Nyetimber, Aldwick, Bersted and Felpham. 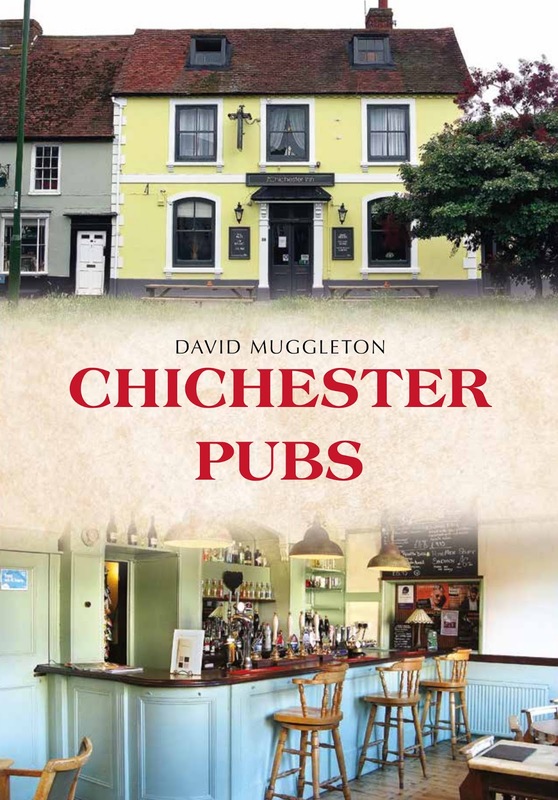 Brimming with quirky tales and fascinating facts about the pubs and those who used to run them, it also mentions pub architects and local brewers. 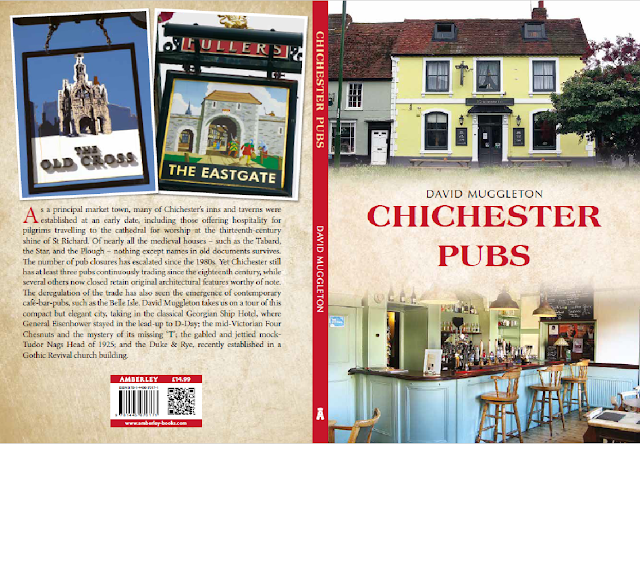 Amberley Publishing of Stroud, Gloucestershire, ISBN 9781445681092, price £14.99. 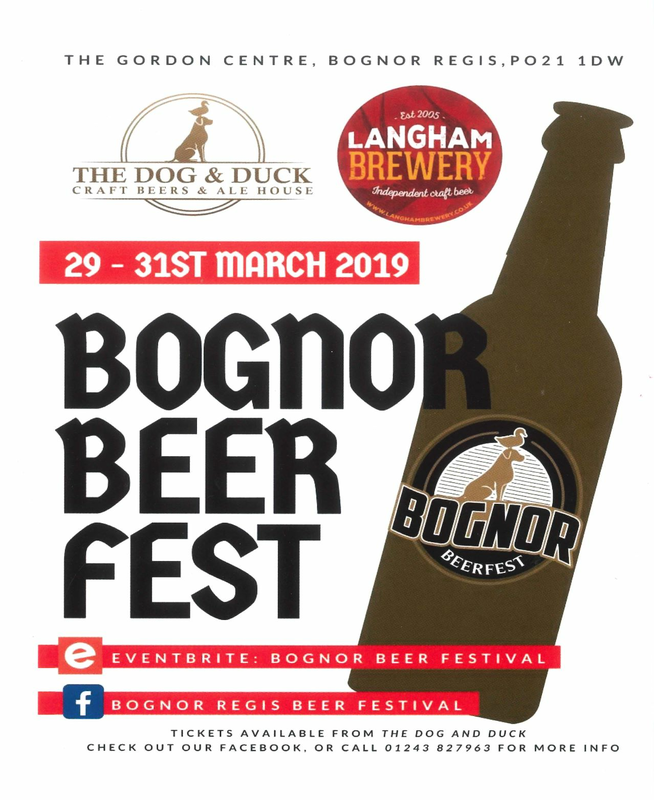 The Bognor Beerfest – the first ever large-scale beer festival to be held in Bognor Regis - is being organised by three local residents, Jamie Boyle, Jason Dalton & Darren Judd. They hope that this will become an annual event to promote cask real ales and ciders within the town. Friday afternoon 12-5pm; Friday evening 6-11.30pm; Saturday afternoon 12-5pm; Saturday evening 6-11.30pm; Sunday afternoon from 12noon (drink-up session, free entry). There will be approx. 32 different cask ales and 10 different ciders to be enjoyed with some live music. Food will also be available. Dog & Duck Ale & Cider House, Norfolk Street (running from the west end of the High Street to the seafront) Bognor Regis. Telephone: 01243 827963. Pub-goers have launched a bid to take over one of the country’s best-known and loved live music venues. The Greys in Brighton has been put on the market by Ei Group after the industry giant failed to find the pub a permanent tenant. Performers at the Greys over the last 30 years have included Damien Rice, Georgie Fame, Martin Carthy, Shirley Collins, Julie Felix, John Otway, John Cooper-Clarke, Kiki Dee, Lene Lovich and Phill Jupitus, and touring musicians from all over the world still look forward to stopping off and playing before an intimate and knowledgeable audience. Despite being so small that past licensee Mike Lance, who first established it as a music venue, called it “a shoebox”, the pub at times has also punched above its weight for food, with an Egon Ronay listing, and drink, boasting a selection of Belgian beers alongside its cask ales. A crowdfunding campaign to raise up to £300,000, supported by the Plunkett Foundation, went live on Saturday, December 2, as locals packed the pub for a free evening of live music and poetry headlined by punk poet Attila the Stockbroker. 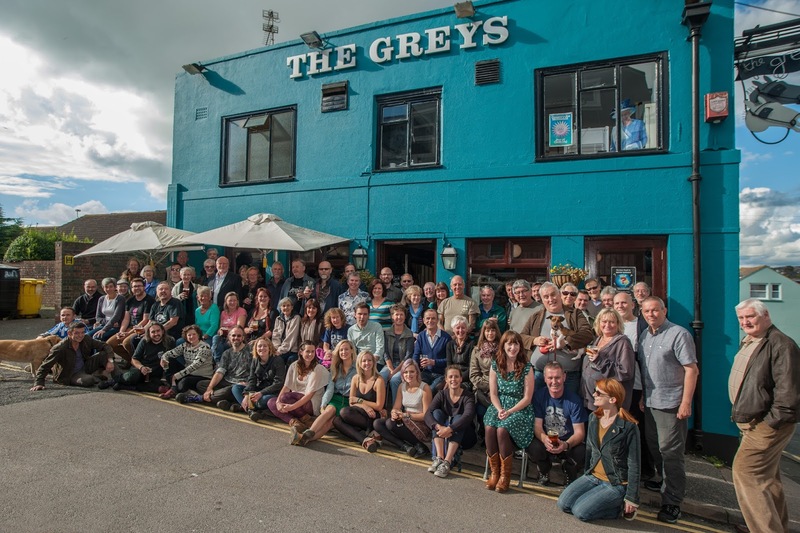 If the bid is successful, the Greys will become one of Britain’s few community-owned urban pubs – Brighton already lays claim to the first community-owned housing estate pub, the Bevy in Bevendean. Other Hanover pub operators have backed the share issue including Indigo Pubs, which has three outlets in the area, and Laine Pub Company, whose CEO Gavin George used to be a regular. Brighton’s Green Party MP Caroline Lucas has also given her support. DAP: Session Pale (3.8%), mango and tropical fruit flavours, delicate, well-balanced with a dry finish, not overly hoppy. Tickler: Irish Red (4.2%), soft caramel-toffee nose, bold dark fruit flavours against a biscuit malt backbone – hint of chocolate in the finish. Session IPA: Citra Ahtanum (4.5%), toffee-apple and apricot nose, pear and apple fruits at first followed by lemon-zest and citrus aftertaste, not overly assertive. The Tickler was my personal favourite. Pump clips on the wall showed other Hand Brew beers to be Quicker than the Eye: Red IPA (5.0%) and Shaka: Pale Ale (4.0%). 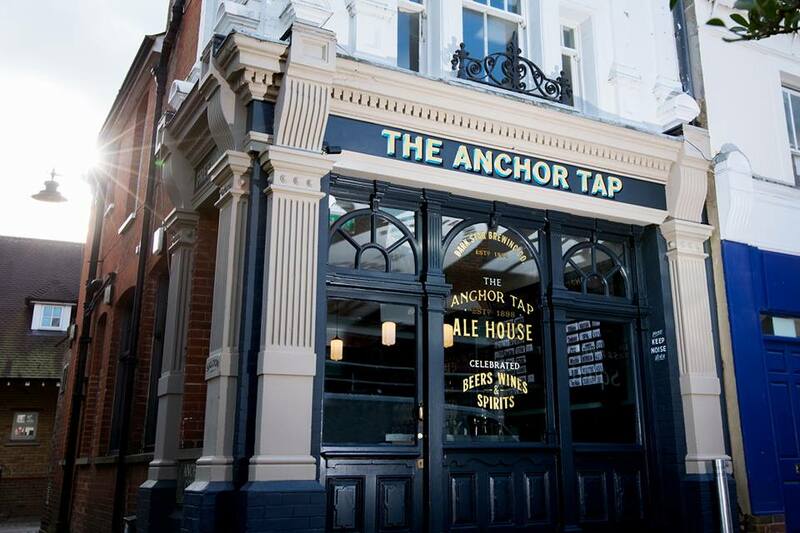 The brewer is Jack Tavaré who also brews under the Beercraft brand at the Watchmakers Arms, Hove. Brewing at the Hand in Hand began in 1989 when Bev Robbins installed a tower brewery and adopted the name Kemptown Brewery and the old dolphin brand image of the pub’s once former owners. 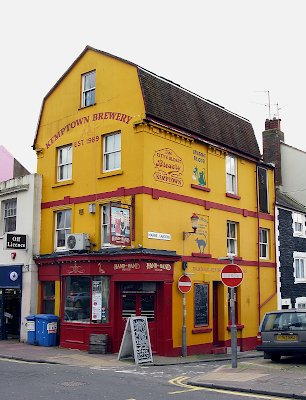 The Kemptown name continued until 2012 when Brighton Bier Co was launched at the pub as a gypsy brewery with Gary Sillence as brewer. 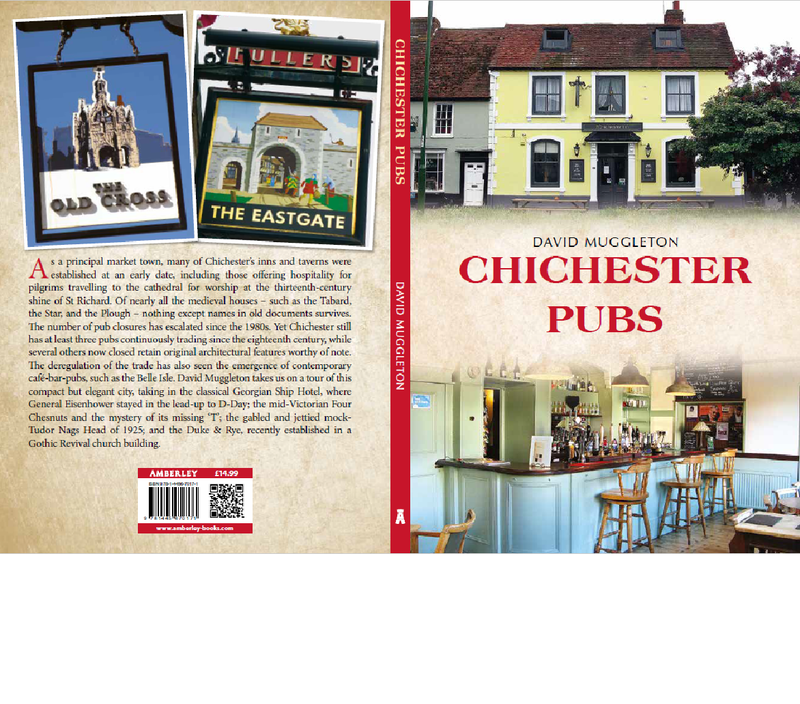 Brewing at the pub lapsed after Brighton Bier obtained premises at the Bell Tower Industrial Estate in October 2014, so the new venture, which first brewed on 4th August 2016, is an especially welcome development. The Beer Essentials was established in August 2001 by former King & Barnes retail sales manager, Gareth Jones, following the closure of King & Barnes in 2000. Eager to continue providing proper beer to the good people of Horsham, Gareth immediately set to establishing his very own off-licence. 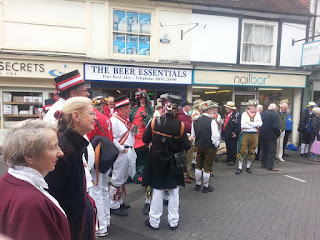 Many years later, The Beer Essentials stands as a haven of real ale in the Horsham District. Situated in Horsham's historic town centre, The Beer Essentials continues to provide top quality beer and cider to it's happy patrons. I'm on the mailing list for Gareth's newsletter and I thought I would share his latest one with the world. Welcome! 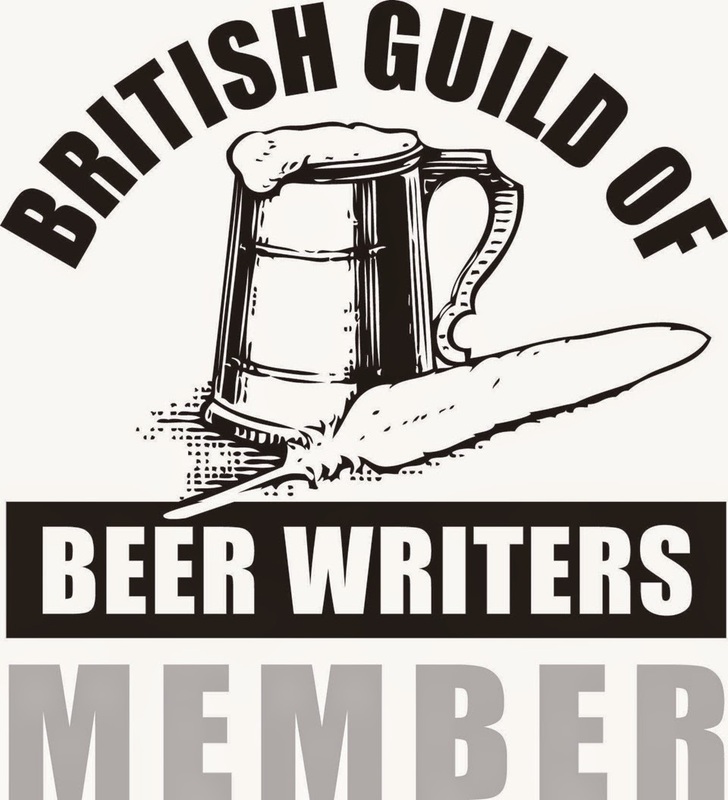 Welcome to the latest issue of Beer Lines, the newsletter of The Beer Essentials, Horsham’s real ale shop. Greetings from a very sunny East Street. The hops in my yard at the rear of the shop are looking decidedly triffidlike and I’m beginning to think that spring is finally here. I’m not generally known for my optimism weather-wise but there’s hoping for a prolonged spell of warmth that will make people think about beer. 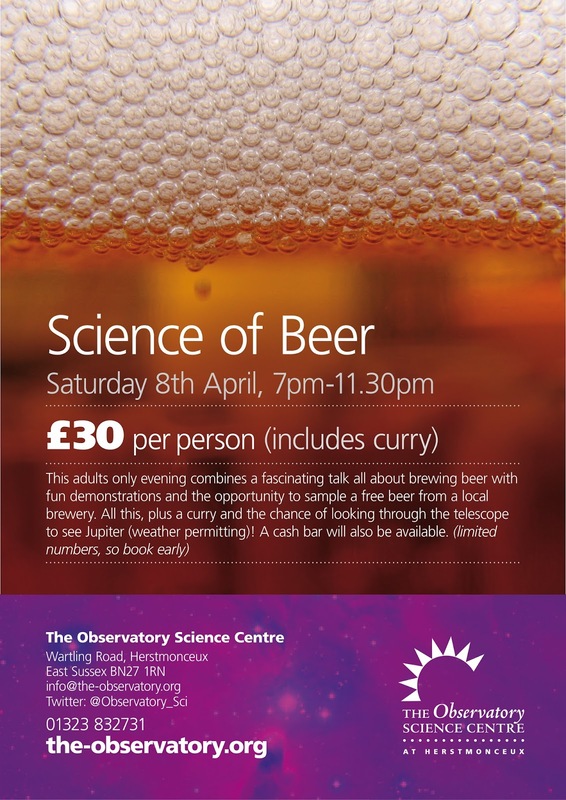 I realise that some people (and I include myself) think about beer whatever the weather but you know what I mean! Anyway here is the beer news. 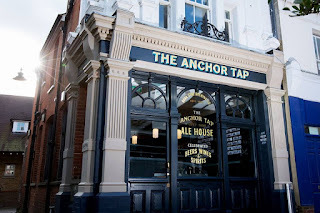 While writing this newsletter I found the April edition from last year and in it I mentioned the Anchor Tap, Dark Star’s pub just a few shops down from me, as it had not long opened its doors. Well one year on and The Anchor Tap has just been voted North Sussex CAMRA's Pub of the Year and thoroughly well-deserved in my opinion. 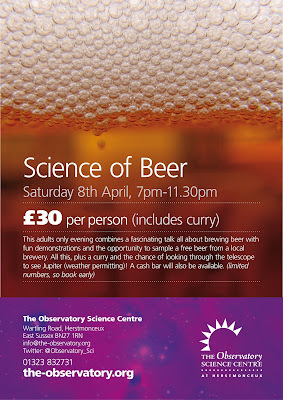 Just another quick reminder that tickets for the above event go on sale at 10.00am on Saturday 3rd June. Ticket day tends to be fairly chaotic so you might want to set an alarm.....there will be free cake!! CAMRA Sussex Beer Festival I had a very enjoyable evening recently at the CAMRA Sussex Beer Festival held for the first time, this year, at Brighton Racecourse. Not necessarily the easiest venue to get to (many thanks to Liz and Bob Sutton for letting me share their taxi back down the hill to the station!) but once there the beer was fantastic. I did quite a bit of “quality control” however two real stand-out beers for me were Thornbridge Brock, a delicious velvety stout with a hint of smoke and Downlands West Indian Pale Ale, a fantastic IPA full of fruity hop flavours (see below). I have just got some new beers in from Hubertus in the Czech Republic. I currently have the Light (3.9%ABV) and the Medium (4.4% ABV) but I hope to have several others from them soon. All of their beers are very clean and refreshing and full of flavour. On Draught during April we hope to have on draught: Dark Star Six Hop Ale 6.5% ABV £3.25 per pint; Tring Apache 3.9% ABV £2.30 per pint; Downlands West Indian Pale Ale 6.5% ABV £3.25 per pint, plus loads of other great beers TBC. Please check blackboard in shop for current availability.